Leander gaming is providing a mega jackpot online spinning game here which is great because it means that the jackpot grows whilst you are spinning! 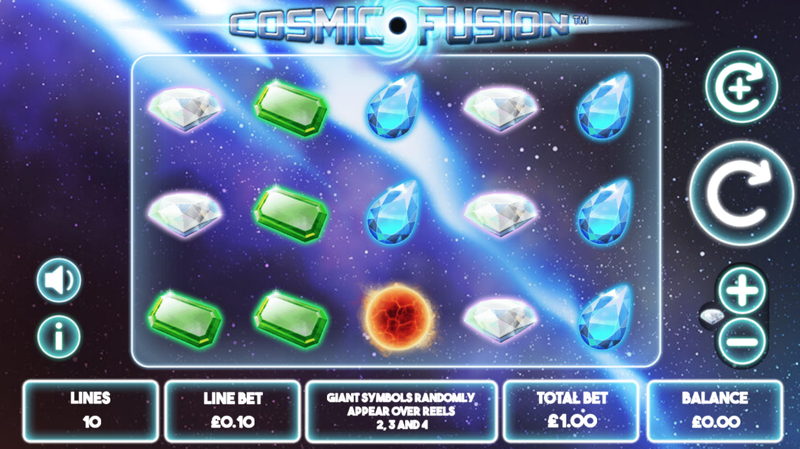 Cosmic Fortune is a 5 reel, 15 pay line video slot game. This means that there is a traditional and retro vibe going on as well as it being a massively space theme. It is a blast into the interstellar and the message is good. Look out for asteroids flying around in the background which takes you right out of earth and into the outer space. Find out more about Easy Slots and Leander Gaming! Leander Games are the developers of this online slot game and they have stood the test of time, having been around for over 10 years. Like many other developers, they pride themselves in developing slot machines based on both iconic and innovative themes. On top of this, they aim to develop up to date software which works effectively online and does not require any down loads. The Argentinian based company have formed calibrations with many other key developers in the industry. They have a wide variety of games available so it is worth checking out their library to see what’s out there, also if you join today you'll be exposed to many promo's and bonuses including our welcome offer! This is a simplistic slot game to play and with a high return to player percentage, this is worth getting excited about! The wild symbols are where you are going to generate winnings in this game. The wild symbols will substitute all the other symbols on the reels except for the scatter symbol which is exempt here. Wilds will expand as soon as they got on the reels so there is a high chance of earning cash returns here. Additionally, the page will track the jackpot and this will grow accordingly. The mega jackpot to keep your eyes on is the largest of the five jackpots on offer. It is triggered at the free fall bonus round and has three marbles dropped sporadically into a prize cup. A different screen shows a space ship drop in a further 50 marbles – if three hit the jackpot cup then a win will be given!